Any Offer is due by 5/29/16 3pm, Welcome to this One Owner Home! It's time to move so U can live here now. 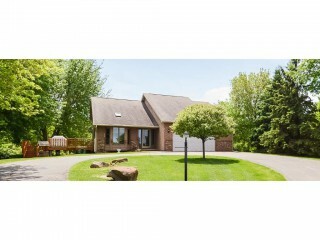 Enjoy Four Levels on a private 1.1 Acre Lot featuring Updated Kitchen, Furnace, AC & more. Don't miss 2 tiered Deck, Wet-Bar Area, HUGE Owner's Bedrm w/ separate Sitting, Patio, Circular Driveway, Extra Large Attached Garage & Shed. Family Rm Walkout Bsmt has 4th Bedrm potential (storage rm currently @ 11x11). Even more space to be had in lower unfinished level. Hudson School Dist.